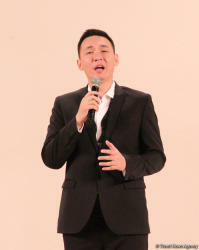 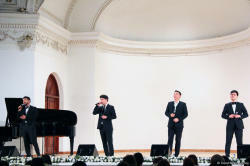 Kazakh vocal group Mezzo has performed a spectacular concert in Baku. 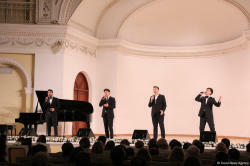 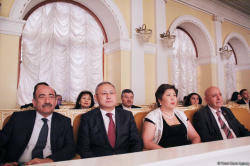 Marvelous event took place at the Azerbaijan State Philharmonic Hall, Trend Life reported. 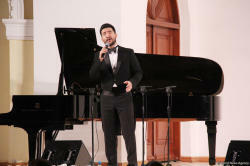 At the opening of the evening, the ambassador of Kazakhstan in Azerbaijan Beibit Isabaev noted that the concert program is another bridge of culture between Azerbaijan and Kazakhstan. 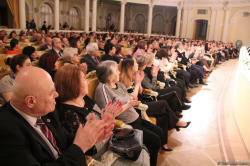 The event was attended by Azerbaijan Minister of Culture Abulfaz Garayev, representatives of culture, diplomatic missions, etc. 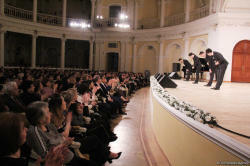 Young talents were welcomed by the huge crowd of their fans. 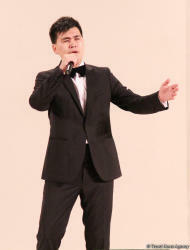 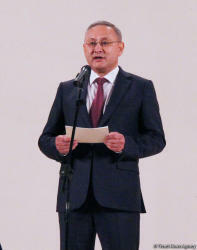 The evening opened with Omirbek Baidildaev’s composition "Tugan zher". 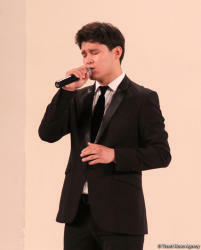 The evening featured Kazakh folk and pop songs. 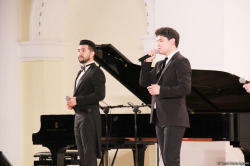 World-famous hits of Andrea Bocelli, Il Divo, Josh Groban, Alessandro Safina, Elton John, Elvis Presley, Frank Sinatra sounded at the concert. Kazakh vocal group fascinated the audience with the performance of the song "Blue Eternity" by Muslim Magomayev. 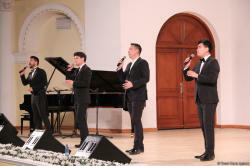 The event closed with the song "Azerbaijan" which received the applause of the audience. 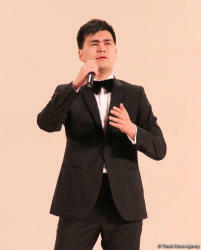 Today, Kazakh musicians successfully tour both in Kazakhstan and abroad. 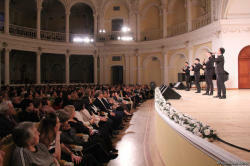 Young talents were warmly welcomed by the audience in Astana, New York, London, Cairo, Kiev.